Despite the "German" name, this traditional cake has its origins in the United States, named after Sam German, an American chocolatier. 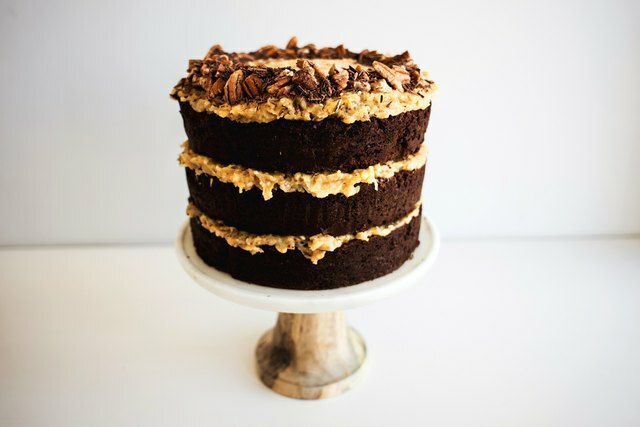 The impressive cake is comprised of three layers of moist chocolate cake, filled with a gooey caramel frosting and laced with both coconut and pecan. 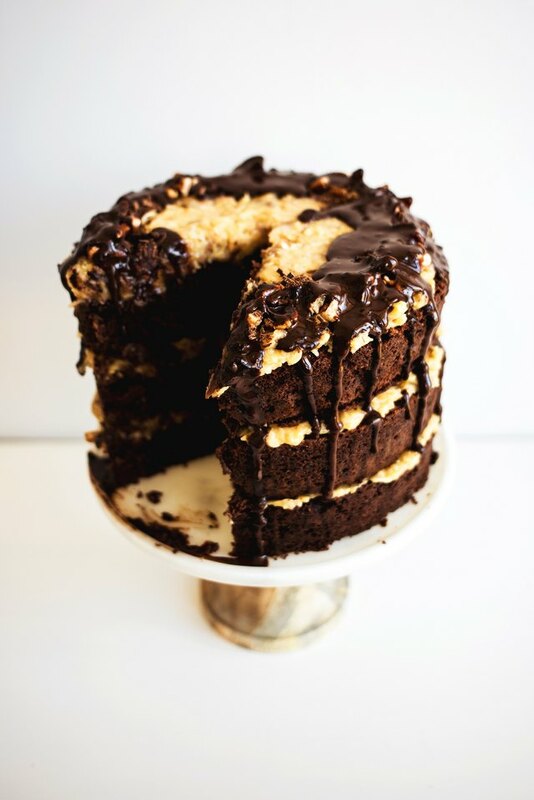 A drizzle of chocolate espresso sauce renders further indulgence on many levels. Heat the oven to 350 F / 170 C.
Set out all of the ingredients you will need. 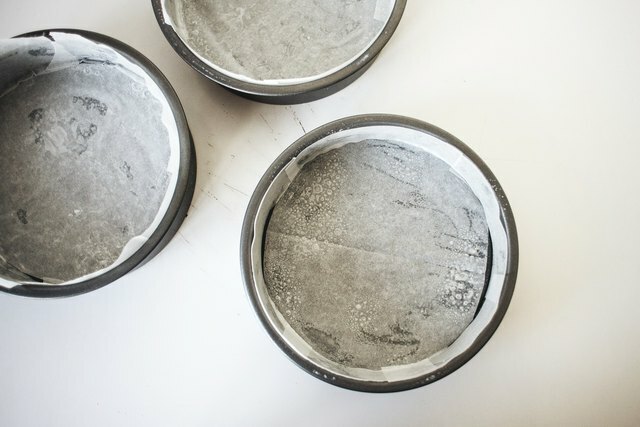 Grease and line three 9-inch / 18-centimeter round cake pans, and set them aside. 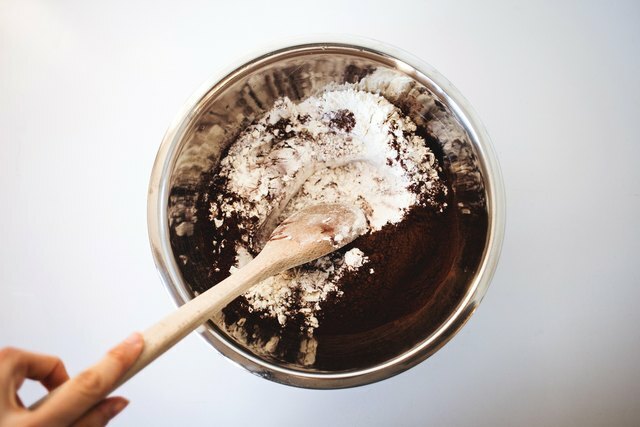 In a medium bowl, whisk together the cake flour, 3/4 cup Dutch-processed cocoa powder, baking powder, baking soda, salt and 1 teaspoon of the espresso powder, if using. 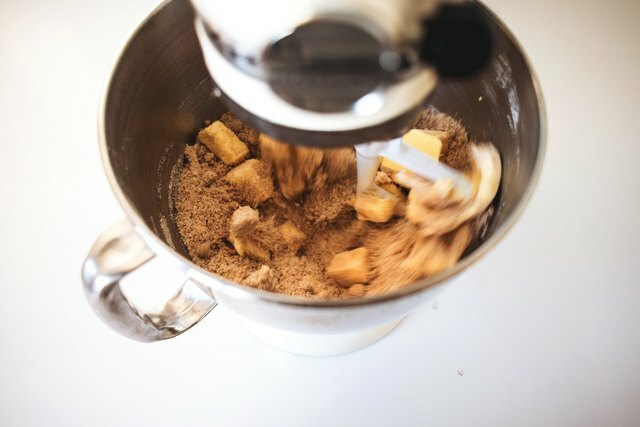 In the bowl of an electric mixer fitted with the paddle attachment, or with electric handheld beaters, beat 1 cup of the butter, 1 1/2 cups of the granulated sugar and the brown sugar until light and fluffy, 4 to 6 minutes. Add the 4 whole eggs, one at a time, beating well after each addition. Then beat in 1 tablespoon of the vanilla extract. 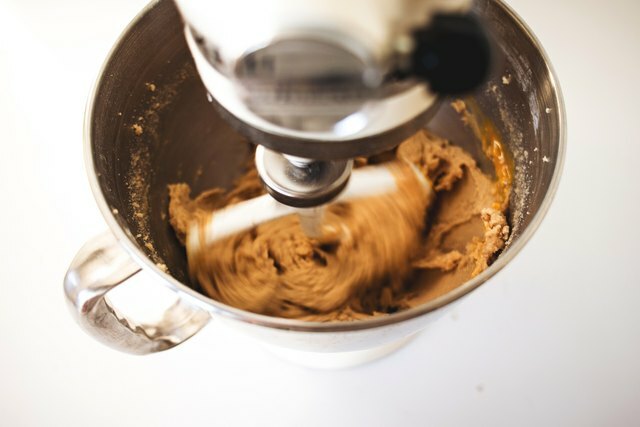 Reduce the mixer speed to low, and add half of the flour mixture. Continue to beat until it's incorporated. In a steady stream, add the buttermilk and beat until thoroughly combined. Then, add in the remaining half of the flour mixture and mix until just combined. 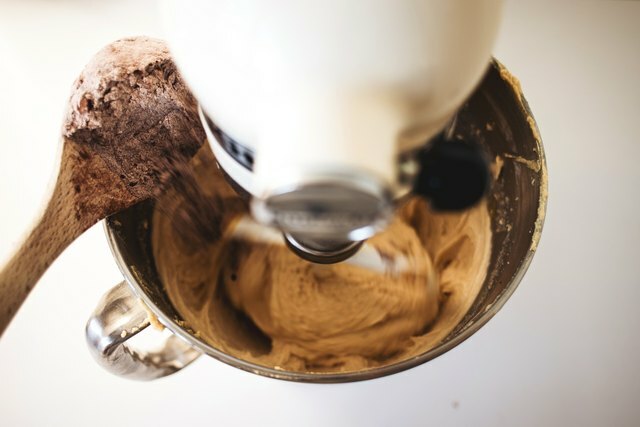 Remove the bowl from the mixer, and finish combining by gently stirring it with a spatula. 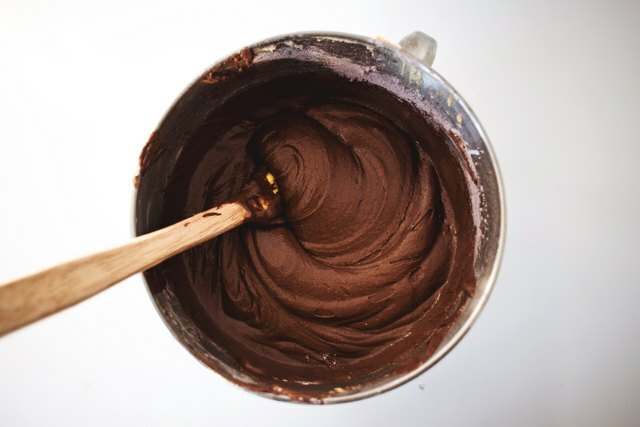 Divide the batter among the prepared pans, and bake until a wooden skewer inserted in the center comes out clean, 25 to 35 minutes. Let the cakes cool in their pans for 20 minutes before inverting onto wire racks to finish cooling completely. Level off any domed tops. 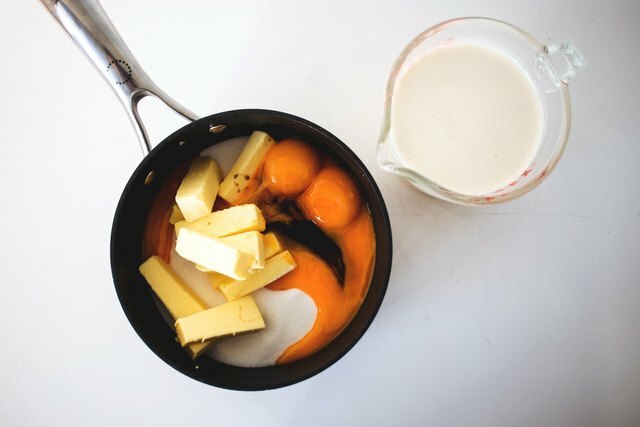 Combine 1 1/2 cups of granulated sugar, the remaining 3/4 cup of unsalted butter, 2 teaspoons of vanilla extract, the egg yolks and the evaporated milk in a saucepan over medium heat. Bring to a simmer, and then reduce the heat to medium-low and continue to cook until thick and glossy, roughly 10 to 12 minutes. Strain the mixture through a sieve and into a bowl. 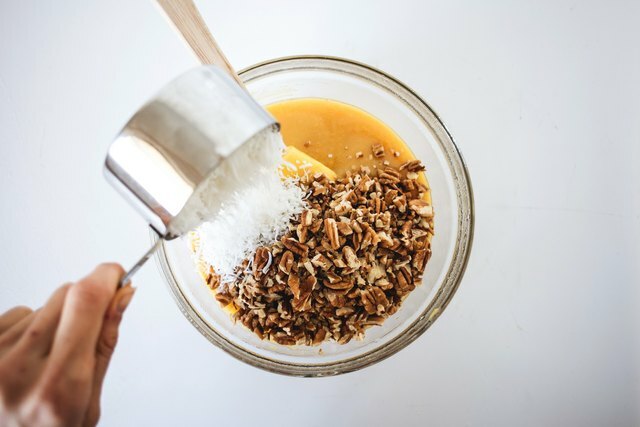 Stir in 1 1/2 cups of chopped pecans and the shredded coconut. Cover with plastic wrap, and chill until firm. 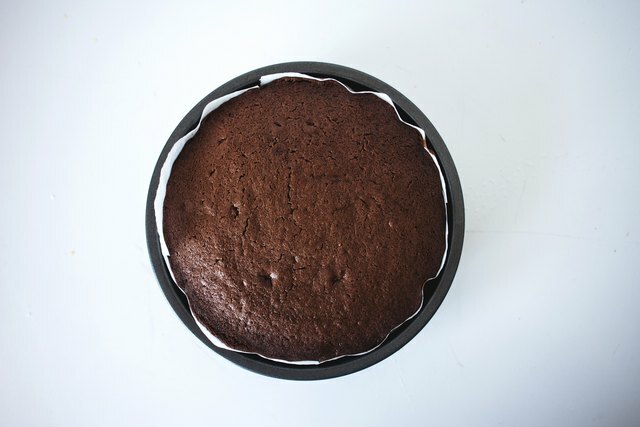 When the cakes are cool, place the first cake layer on a stand or plate and spread with 1/3 of the chilled filing. Cover this with the second cake layer, and spread with 1/3 of the filling. Top with the third layer, and cover it with the remaining filling. 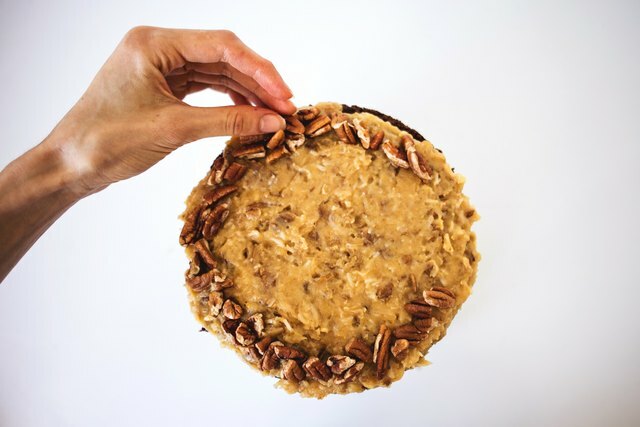 Decorate the top of the cake with the remaining 1/2 cup of pecans and a handful of chocolate shavings. 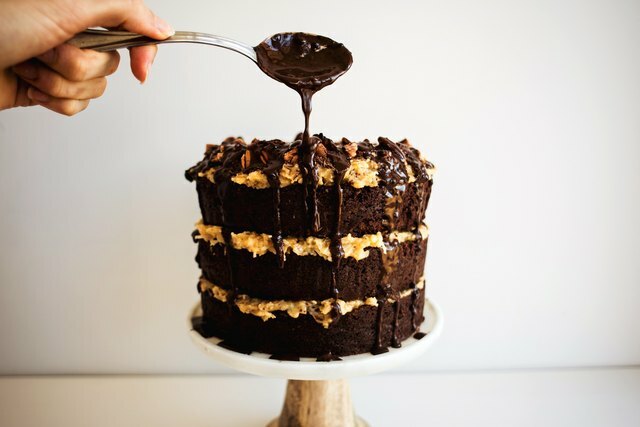 Chill the cake while you prepare the chocolate espresso sauce. 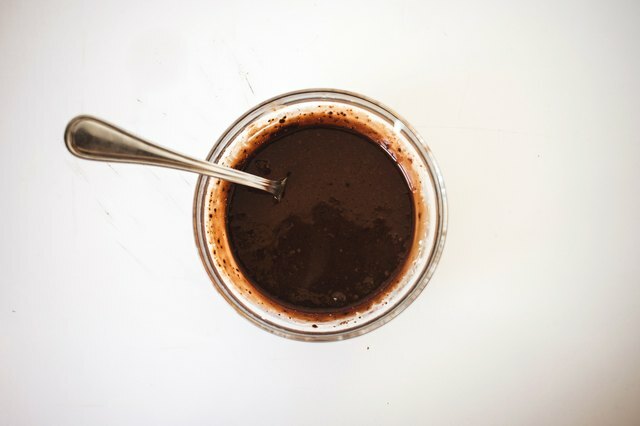 Combine the chopped dark chocolate, remaining teaspoon of espresso and 1 tablespoon of Dutch-processed cocoa powder in a small bowl and set aside. In a small saucepan, heat the cream until it is boiling. 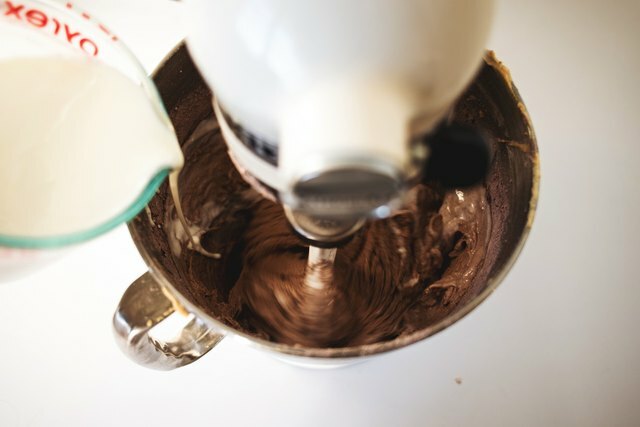 Pour the cream into the bowl containing the chocolate, and let it sit for a minute before whisking the mixture until glossy and smooth. 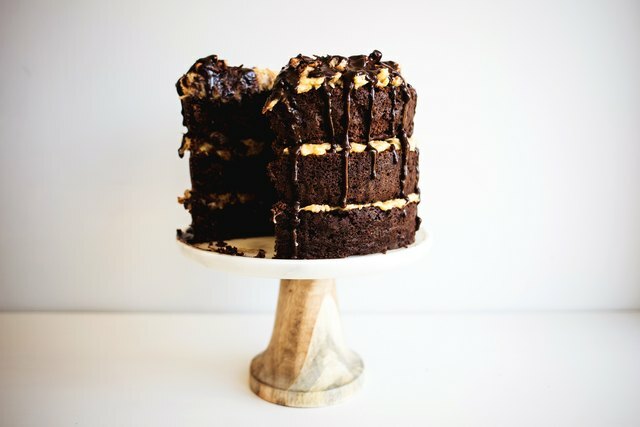 Drizzle the chilled cake with the chocolate espresso sauce before slicing and serving. You can store this cake covered in the refrigerator for up to 3 days. 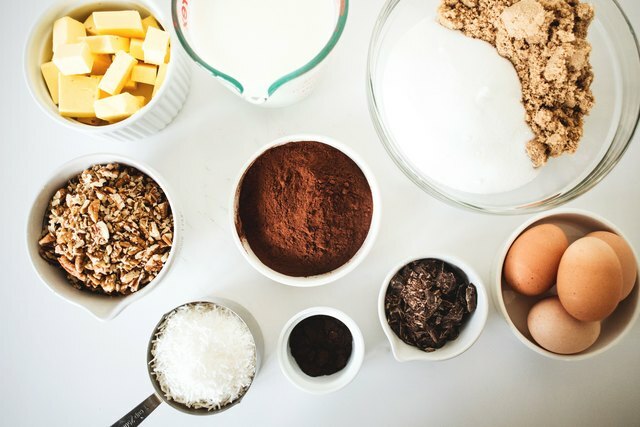 Remove the cake from the refrigerator 30 minutes before serving.